For Houston residents looking for a reputable home builder, the options are seemingly endless and the process can quickly become overwhelming. How do you know which general contractor (GC) has the right skill set for the job? In part one of this two-part series, we reviewed four qualities to look for when hiring a GC, and today we’ll conclude with four more. If you’re in Houston, The Woodlands, or other Harris County location and searching for a reliable general contractor, contact Wallace and Dean Real Estate. Don’t let our name fool you. We provide industry-leading real estate solutions for homeowners, but we are also well-versed in general construction and trade work. Contact us today to schedule your appointment! Any reputable professional that provides estimates knows the value in providing a bid that is easy to read and understand. A thorough, well-written, accurate estimate forms the foundation of the professional relationship you’ll develop with the contractor, and he or she should be willing to answer any questions you have about it. When you receive an estimate from a GC, it should be broken down by trade. Each trade section should be itemized and have a line-by-line breakdown of materials and labor. Be wary of contractors that provide a flat-fee bid for their work. He or she should always be able to itemize or otherwise explain how they came up with their figures. Wouldn’t it be wonderful if there was no limit to the funds that are available to build your new home or complete your basement renovation? A well-qualified home builder will understand that you’re not made of money, and he or she will be respectful of the financial limits that you set. Furthermore, his or her understanding of your budget should shine through on the estimate. If the GC has estimated more than you’ve approved for a particular trade, they should be able to explain why he or she was unable to stay within the budget and make an effort to compromise. If your contractor continually takes liberties with your budget, or requests to have unlimited time and materials, it might be best to look elsewhere for a GC. 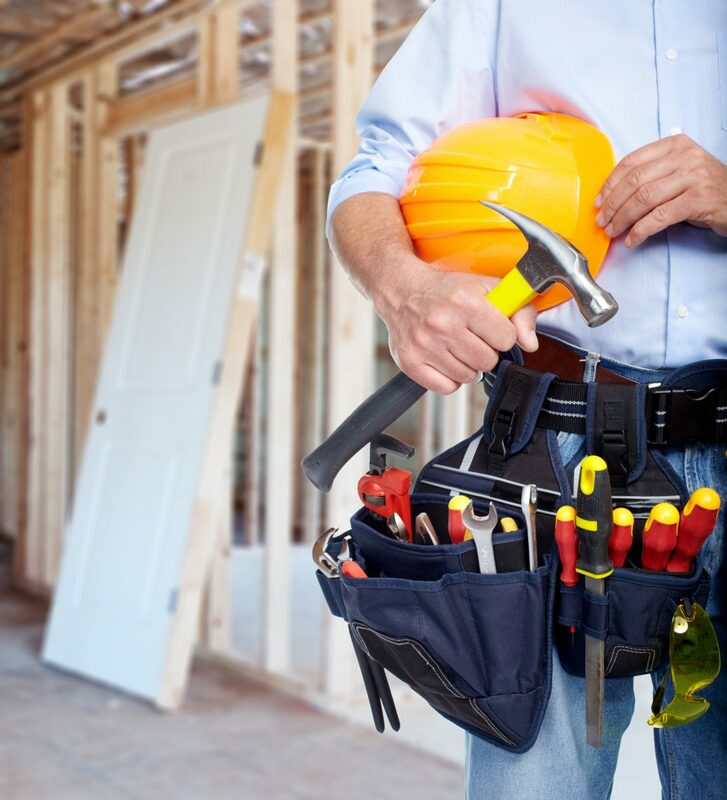 In our prior blog, we mentioned that a good general contractor will be available to answer your questions related to your project and address any concerns you have along the way. In addition to being responsive and accessible, he or she should also have honest, open communication with you as your home build progresses. There should also be consistent, reliable, and proactive status calls so that you are kept informed on the progress of your project. In order for you to get the home that you want, it’s vital that you and your general contractor maintain open lines of communication, no matter how small the detail. Not only is this beneficial for building rapport, but it can also save you and the GC valuable time and money by avoiding miscommunications and misunderstandings. For any major construction job, the contractor will need some money to get started. This is a common request from contractors given that they will have reserved a spot on their schedule for you, and had to rent or purchase materials and supplies for the project. The issue then becomes determining what kind of down payment is reasonable? 15 percent? 20 percent? 50 percent? While there is no hard and fast rule on what percentage a home builder should request, we recommend steering clear of the higher ones. This could signify an inexperienced or ill-equipped GC that doesn’t have enough materials to get started without your down payment. Much like the clear estimate, any reputable and established GC should be able to explain their rationale on the figures, and some will even negotiate with you to reach an agreed upon number. 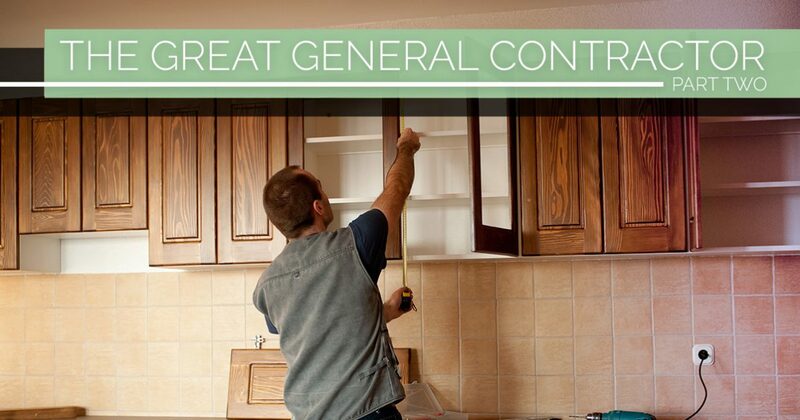 These four qualities, combined with experience, availability, reputation, and licensing all come together to create a great general contractor. For residents of The Woodlands and other areas of Harris County searching for a reliable GC, contact Wallace and Dean Real Estate today at 281-789-7349 . With more than 10 years of experience constructing custom homes, you can rely on our team to build the house of your dreams!